Wingate Architectural Millwork Company services the contiguous United States and limited international locales. Throughout every step of every project, Wingate Architectural Millwork Company strives to accommodate our clientele above and beyond our competitors, and no job is complete until the delivery and installation of every last piece is finished. 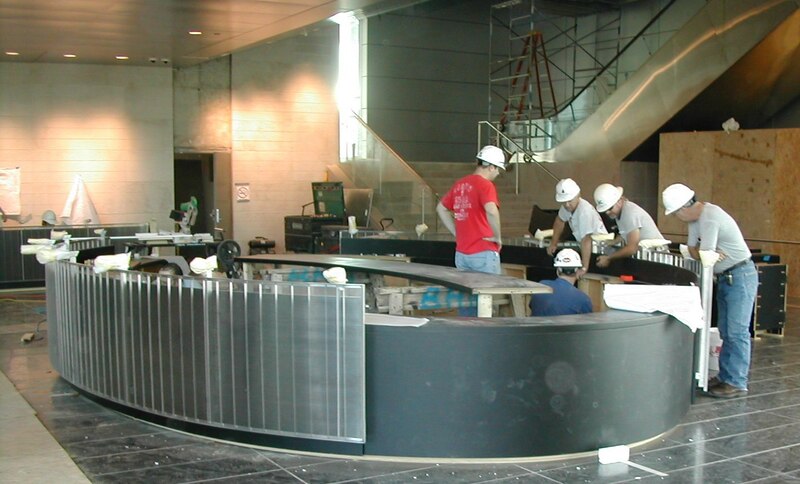 We coordinate with contractors on-site to ensure that our custom millwork and casework is integrated into the project with minimal interruption to other workers, and our highly skilled specialists have the experience and knowledge to complete all the finishing touches necessary for a successful installation.